Primitive Cross Pendant - Solid Damascus Construction, Leather Thong - Dimensions 2”x 1 1/4” | BUDK.com - Knives & Swords At The Lowest Prices! 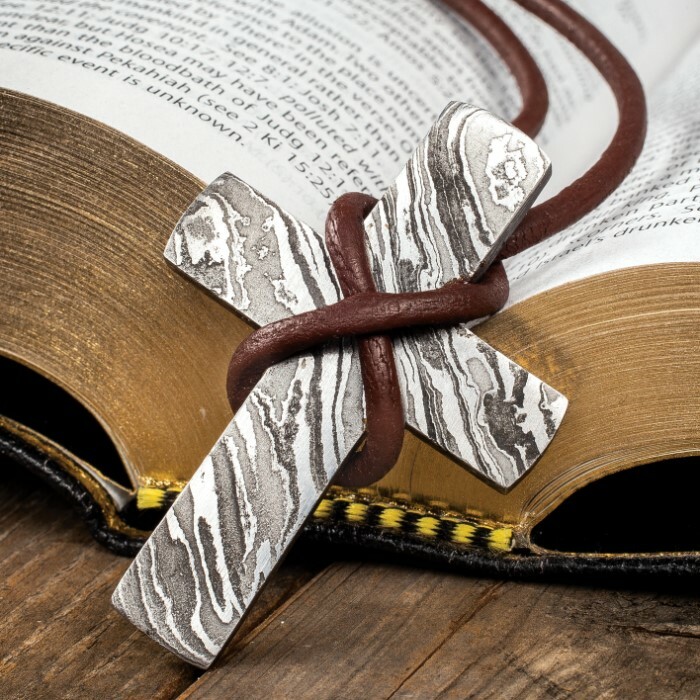 Our Primitive Cross Pendant has a simple and classic design that might have been worn, in Biblical days, around the necks of the first Christians. 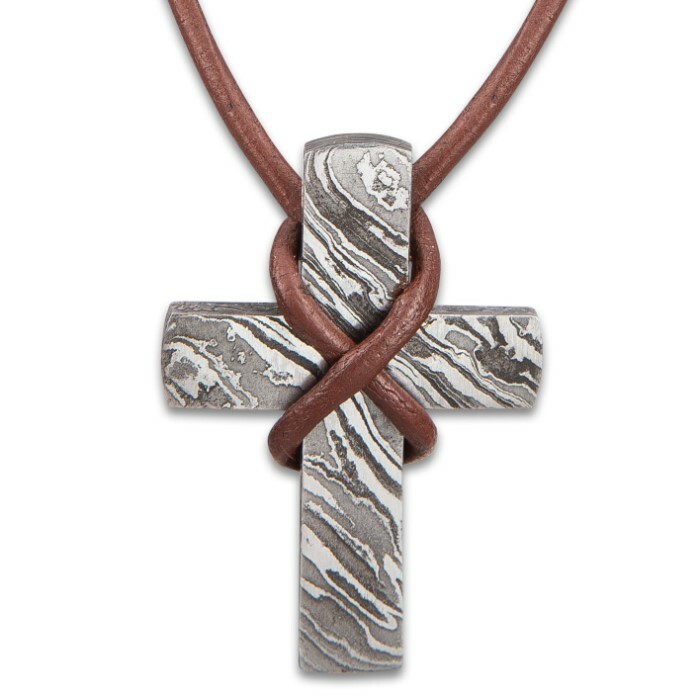 The pendant has a hefty, solid Damascus steel construction and hangs from a brown leather thong. 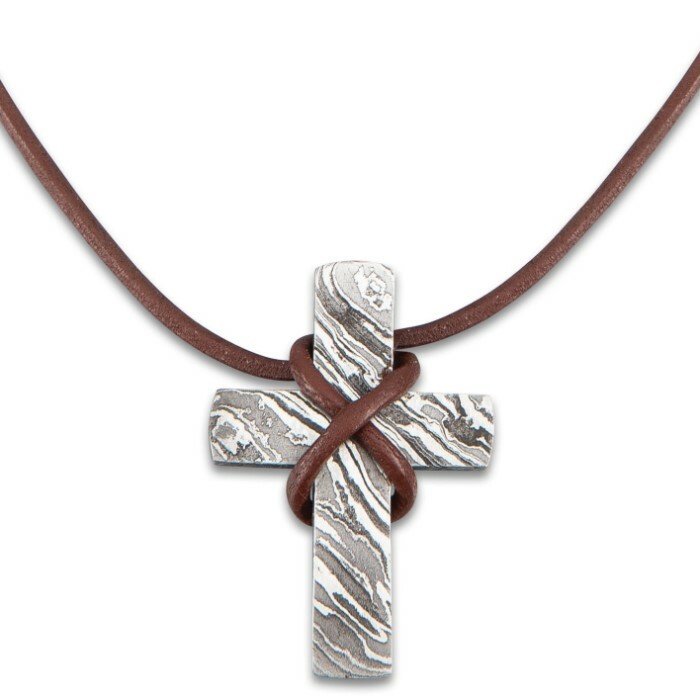 The pendant’s overall dimensions are 2”x 1 1/4” and the thong is 25 1/2” in overall length.